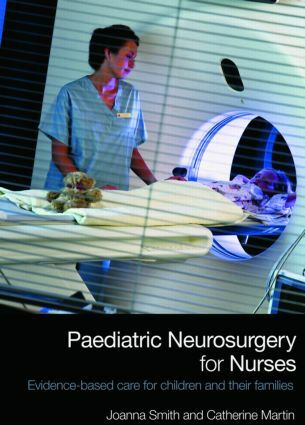 Paediatric Neurosurgery for Nurses: Evidence-based care for children and their families provides accessible and up-to-date information for nurses working in paediatric neurosurgery. Referring throughout to the evidence-base for care and interventions, this complex area is described and explained in a meaningful and easily understandable way. The complexity of the nervous system and principles of care are presented logically with points to consider and essential care clearly highlighted and, where available, evidence-based practice is presented. It includes a range of pedagogical features, such as chapter overviews and summaries, diagrams, sample care plans, text boxes and a glossary. This book is essential reading for pre-registration nursing students and newly qualified nurses but will also be of use to allied healthcare professionals working with children and young people requiring neurosurgery.